Summer brings sunshine, longer days and vacation — which makes it the perfect time to try out new tech gear. Whether you plan to take a road trip, lounge on the beach or stay home and watch Netflix, we’ve put together a list of items that will ramp up your summer without blowing your budget. 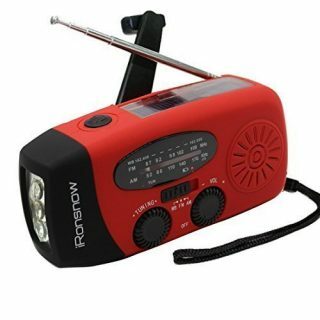 Ideal for camping or hiking, the iRonsnow IS-088 functions as an LED flashlight, weather radio and smartphone charger. You can charge it using solar power, its built-in hand crank or a micro-USB cable. If you’ve got a flight to catch or are rushing off to the beach, you don’t want to spend a lot of time trying to find your keys. Attach the Tile Bluetooth tracker to belongings you frequently lose — such as your keys, wallet or phone — and use the app to locate the item if it goes missing, or request an audible signal from the tracker itself. It can even keep tabs on your luggage while you’re traveling. Often find yourself out and about with a low battery? The Nomad wallet ensures you’ll always have a charger handy. 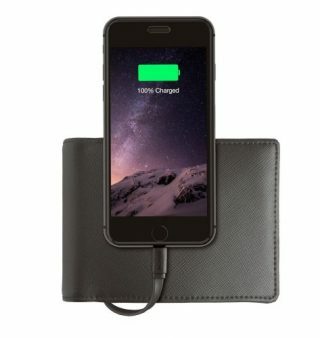 It features a built-in Lightning cable that’s able to fully charge an iPhone. Ion’s waterproof Air Pro Lite Wi-Fi camera lets you document your summer adventures with HD pictures and videos. You can capture action shots by attaching it to your surfboard, bike, helmet or other equipment. And it connects to smartphones, tablets or laptops via Wi-Fi, letting you easily share images on social media. Use the Aomais IPX7 wireless Bluetooth speaker to listen to your favorite summer jams at the beach or by the pool without worrying about ruining your speaker. It’s designed to float, is waterproof up to 7 feet and has a 10-hour battery life for all-day play. >> MORE: Fitbit comparison: Which Fitbit activity tracker is best for you? Beat the heat with something cold and sweet. 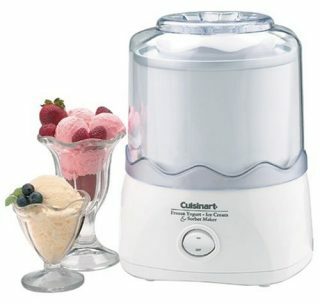 Make your favorite frozen desserts and drinks with the Cuisinart ICE-20 automatic ice cream maker. This machine makes up to 1 1/2 quarts of ice cream, frozen yogurt or sorbet in about 20 minutes, and you don’t have to stir by hand. Take advantage of warm nights by watching a movie outdoors with the Tronfy portable projector. Pair it with your laptop, game console or other device to turn your backyard or campsite into your personal movie theater. The Koolatron 14-quart electric travel cooler plugs into your car’s cigarette lighter and keeps your food and drinks picnic-ready, even on long road trips. It’s lightweight and comes with an adjustable shoulder strap, making it easy to carry once you’ve reached your destination. Backyard barbecues are fun, but cleaning up charred messes and caked-on grease? Not so much. 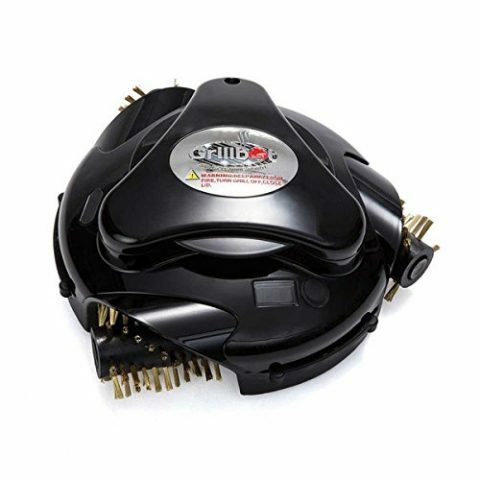 Rather than rolling up your sleeves, try the Grillbot automatic grill cleaner, which acts like a Roomba for your grill.